When people are diagnosed with cancer they look under every stone to try and figure out what caused this condition, maybe even seek alternative cancer treatment. Probably the last place they would think of looking is in their mouths. That is correct…. your fillings and other dental work could be the source of the disease. How does that happen? First of all, many of the materials used in dental work contain heavy metals, many of them contain mercury. Slow poisoning by heavy metals can induce cancer. 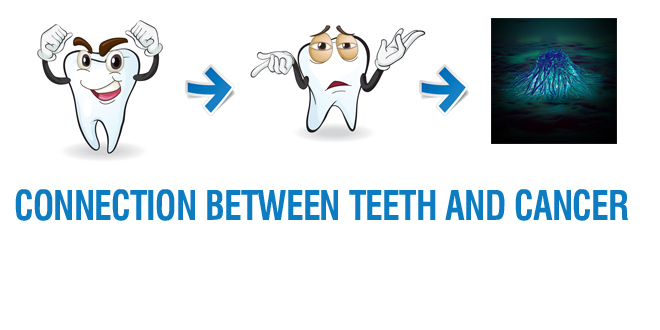 Second, the methods of relieving tooth problems creates conditions that harbor microbial growth in the mouth, that over time can form pools of highly resistant microbes and their toxic secretions. Everything from fillings to root canals can be a source of heavy metals in the body. Specialists in alternative cancer medicine believe that the first step to curing cancer is to eliminate the toxins and heavy metals from the body. This is a highly controversial field, since it questions methods and practices of standard dentistry. However, in the course of obtaining alternative cancer treatment in Mexico, especially at the Hope4Cancer Treatment Centers, you can expect that the state of a patient’s dental health will be one of the focal points of treatment. Many people who have embraced alternative cancer treatments claim that clearing their dental conditions by having their fillings and root canals removed by a qualified biological dentist has helped them get better, with results often observed within the space of weeks. There is more and more evidence to show that there is some connection between dental work and cancer. Two leading US-based dental toxicity experts conducted a study where they studied about 5,000 extracted teeth that had root canals. When tested, every tooth invariably had incredible levels of toxins coming out of them. So there is certainly more than meets the eye. When you understand the role of toxins in the body in the formation of cancer, it becomes easy to see why there is cause for concern. As always, opinions in alternative medicine are often questioned by the conventional medical community, and dental toxins is certainly an area of controversy where you will find polarized and divided opinions. We encourage people to exercise deliberate caution, put on their thinking caps and look out of the box from things that they are typically told by their doctors and dentists. You may even find that the medical community you are exposed to dismisses alternative cancer treatments with an air of authority altogether. But when you closely look at how much they know and have researched various aspects of alternative medicine, you realize that their energies have been entirely spent in learning the concepts of conventional medicine instead. The expectation that a conventionally trained doctor or dentist can provide a clear, objective opinion on the methods of alternative medicine is as ludicrous as expecting a plumber being able provide a cardiovascular assessment for a heart patient. In conclusion, a close look at your dental health may not prevent you from getting cancer, but it can surely eliminate a potential source of oncogenesis.